A long-lived series of brief literary biographies, edited by edited by John Morley (1878-1902) and supplanted by the “New Series” around 1902. The series went through numerous jacket and binding changes and intermittent bursts of titles before fading around 1970. 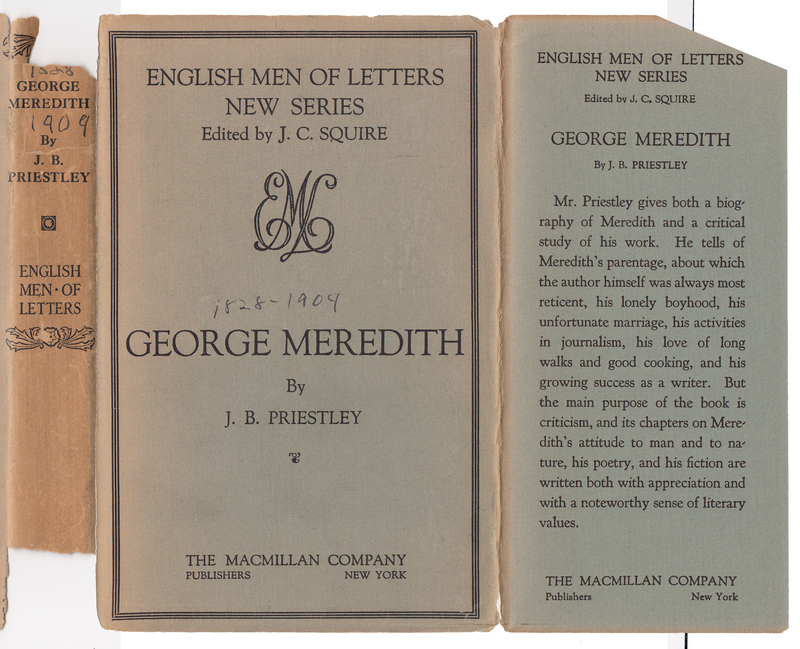 The jacket below, from J.B. Priestley’s George Meredith, was published in 1926 by the New York office of Macmillan. UK and US jackets and books seem to be similar in design. 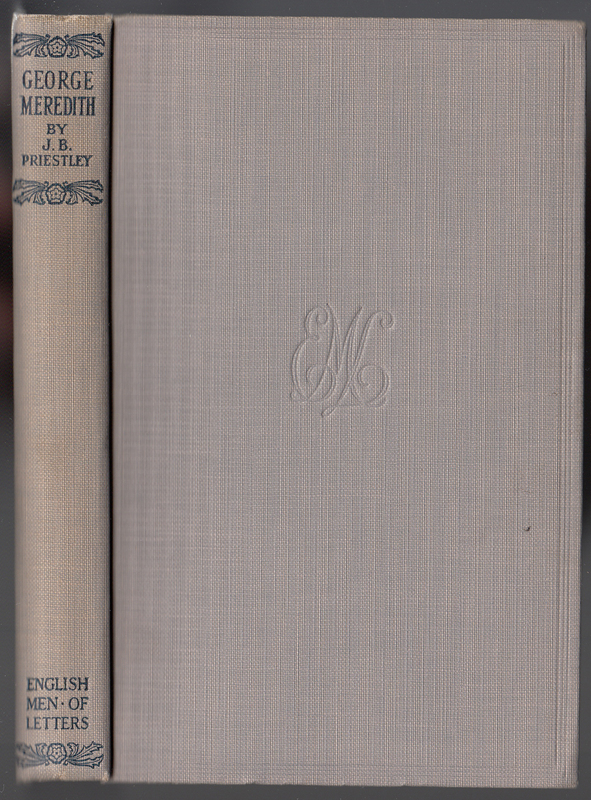 Jackets are common to the series in this era, with the series name on the jacket spine, front, and front flap. A blurb for the book fills the front jacket flap. 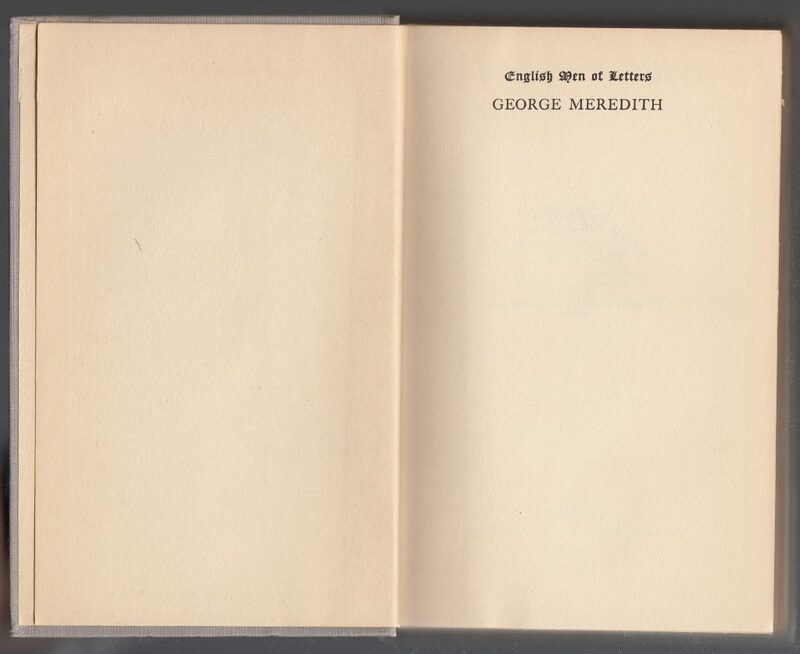 A former owner has annotated the jacket with Meredith’s birth and death years. 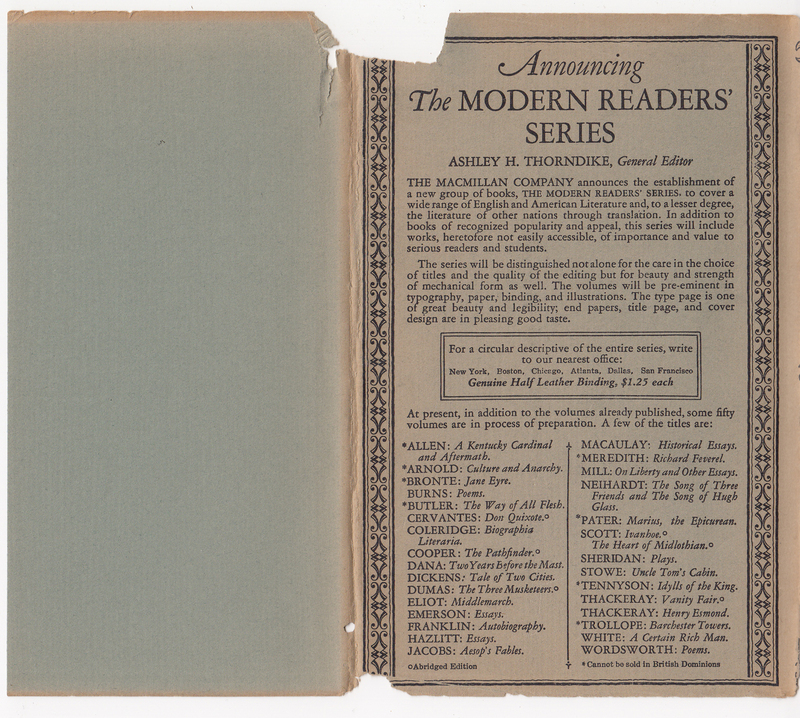 The rear of the jacket advertises the Modern Readers’ Series, redesigned and expanded in 1926. A tan cloth binding with black type and decorations, with debossed decorations, including a series colophon, on the front of the book. The series name is printed at the base of the spine. The series name and book title are included on the half-title page. 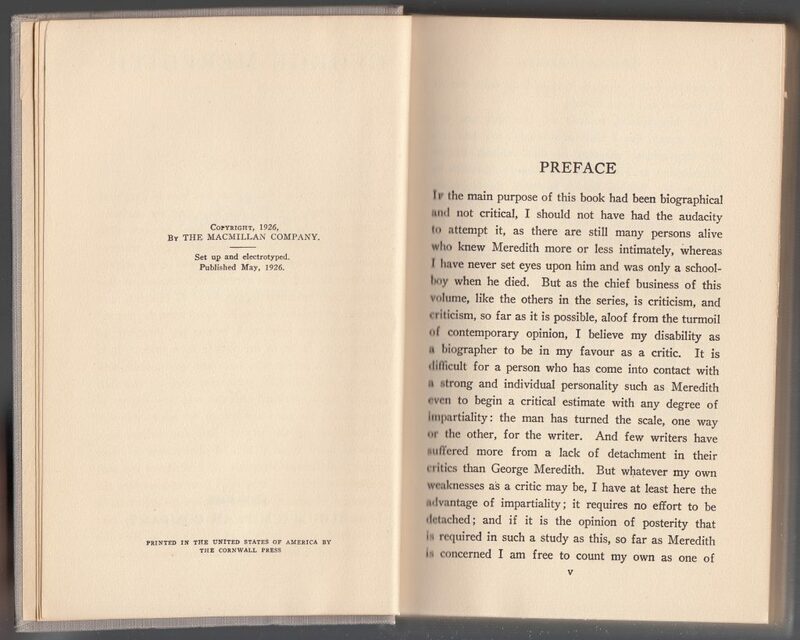 The various Macmillan imprints face the title page, which has the book’s date of publication. The copyright page includes the May 1926 publication date. 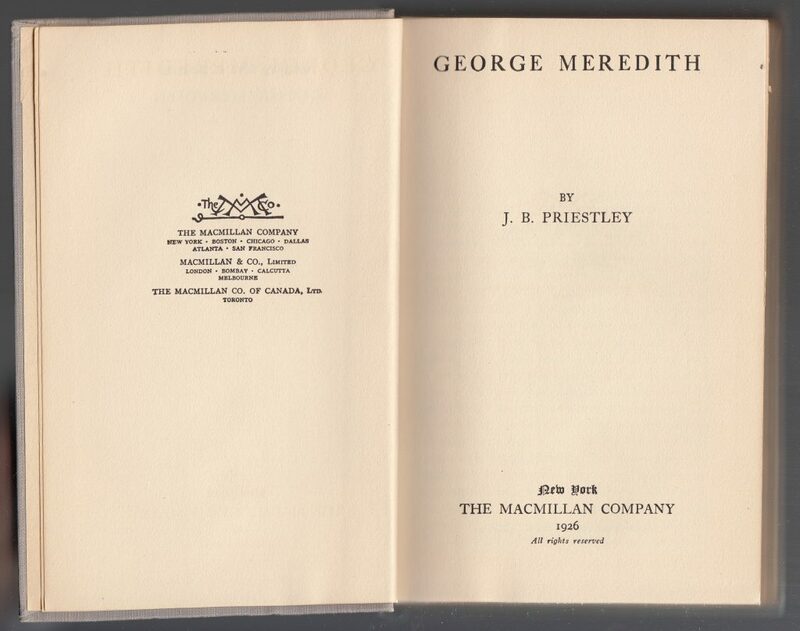 The book was printed by the Cornwall Press, in the U.S.